Our lightweight denim is done in a vintage-inspired wash on this short-sleeve statement top. Our lightweight denim is done in a vintage-inspired wash on this short-sleeve statement top. 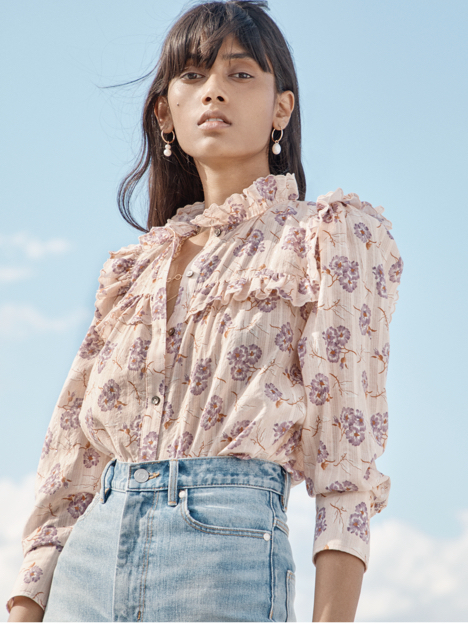 Its silhouette is defined by an open neckline and puffed sleeves that we love paired with slim jeans for a double-denim moment.